My WordPress sitemap guide will show you how to find your sitemap, how to create a sitemap if you don't have one already, and how to submit your sitemap to Google. 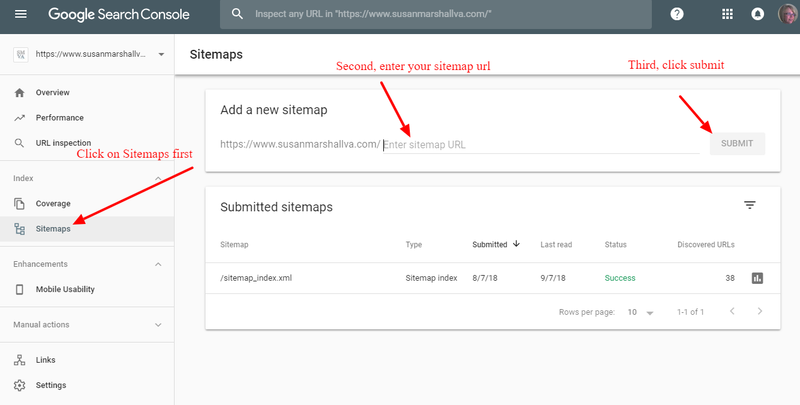 For the purposes of this article, I'll be talking about sitemaps for WordPress websites only but the part about submitting a sitemap to Google should work the same way for any website. A sitemap is a file stored on your website that ends in .xml. Sitemaps are one of those technical things that every website needs. It's used to tell the search engines about all of the pages that make up your website. You want the search engines to know this stuff because it helps them to better find and index your web pages. 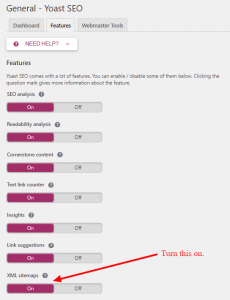 This worked for me but I also noted that my sitemap URL automatically changed to something else. It changed from /sitemap.xml. to /sitemap_index.xml. That happened because the plugin I'm using for SEO creates multiple sitemaps automatically. It creates separate sitemap files for my pages, posts, categories, tags etc and looks something like this image. There are many ways to create a WordPress sitemap but the way I recommend uses the free Yoast WordPress SEO plugin. If you don't already have the Yoast plugin installed, you can find it in the WordPress plugin repository by searching for Yoast SEO. You'll find the plugin configuration guide over on Yoast's website. You probably won't need to reference the guide though because it's pretty easy to set up. Once you install the plugin, they have a nice configuration wizard where you can configure the most important settings. Click On if it's not on already. So now you've found and/or created your sitemap. It's time to submit it to Google. Once you have a working XML sitemap, you can easily submit your WordPress sitemap to Google yourself using your Google Search Console account. If you don't have one yet, click this link to get a free Google Search Console account. 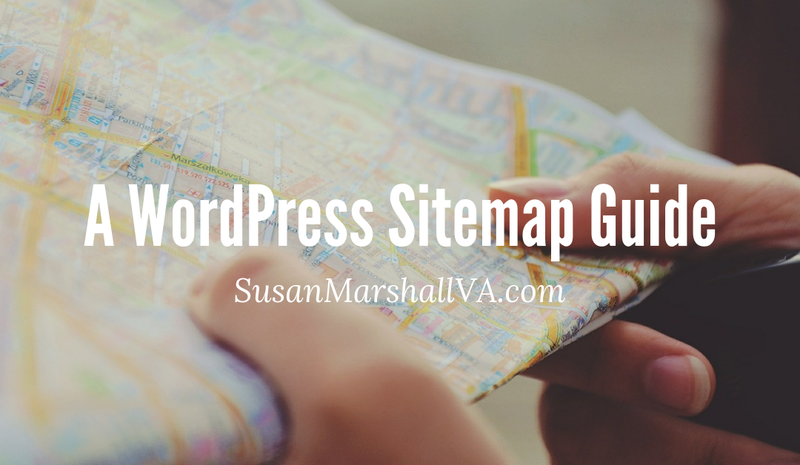 There's one more type of sitemap that you may want to add to your WordPress website. This one is for your website visitors. You know, the live people that visit. This is to help provide actual people a good user experience and can be as simple as links in your footer or it can be a stand-alone page. These don't have to include every single page of your website like the XML sitemap either. HTML sitemaps are very helpful in guiding real people as they navigate around and discover pages on your site. Please also check the video of Google's, Matt Cutts, explaining the importance of having an HTML sitemap. Have Questions About Sitemaps Or This WordPress Sitemap Guide? I hope you now have a better idea and understanding of WordPress sitemaps. If you still have questions, please leave them in the comments below or send me a message. Find out more about my WordPress services and the WordPress maintenance plans I can offer you.